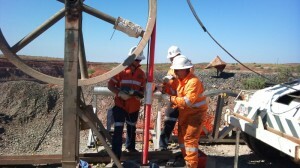 Hahn Electrical Contracting has over 20 years’ experience in the Design, Installation, and Commissioning of Electrical Projects throughout Australia.We have the resources, personnel, and knowledge to undertake a variety of mining and industrial projects. Why Choose Hahn Electrical Contracting? There are many reasons why Australian mining and industrial companies choose Hahn Electrical Contracting for their electrical projects. We offer a comprehensive range of services and ensure all work is carried out and tested to the appropriate Australian Standards and regulations.